truth is, not many of the free apps or even paid ones are good information sources. Quite a number of academic librarians express reservations about using them to answer reference questions. These apps are mostly content aggregators. For example, Art Authority. It “takes” content from museum partners and present them in an app form. It may meet the information needs of the general public but not really for art students in tertiary institutions. Artsy is an online platform for discovering, learning about, and collecting art. Its website is really cool and is powered by the Art Genome Project which study the characteristics that both distinguish and connect works of art. 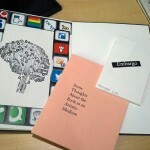 Artsy Education provides helpful ideas and content for art educators to use in classrooms and courses. An iphone app is currently available. I hope they will develop an Android app. 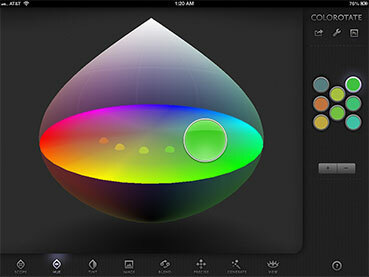 Colorotate is an intuitive colour editing app for the iPad. There is a web version but I think it has limited features. Strange huh. It cannot replace the accuracy of colour wheels but is nonetheless a very cool tool, especially for the teaching of colours. One cool feature I would like to mention is its ability to show how colours look like to people who are colour blind or have cataracts. This is a software that allow you to stitch 40 images of an object together to create a 3D image. The integrated 3D image can then be further edited and manipulated using Autodesk. Now, there is an app that lets you take the pictures with your iPhone and stitch them together at the same time. You don’t need fanciful equipment or software to create 3D digital images. I can see art students using 123D Catch to design and create art works, but the librarian in me would also to see them scan their finished objects for their digital portfolios. Miller, R., Meier, C., & Moorefield-Lang, H. (Eds.). (2012). Rethinking reference and instruction with tablets. ALA.
Miller, R., Meier, C., & Moorefield-Lang, H. (Eds.). (2014). Tablet computers in the academic library [Kindle version]. ALA.
Tomlin, P. (2012). The fine art (and architecture) of mobilizing student learning: A snapshot of disciplinary use of library tablets. Library Technology Reports, 48(8).